In an effort to breathe life into the Green Deal, which has made a disappointingly slow start since its inception in January, the UK Green Building Council (UK GBC) has called on the British Government to provide additional incentives for homeowners. Chief Executive of the organisation, Paul King, suggested property owners who finance energy saving improvements under the scheme ought to pay less stamp duty and council tax. 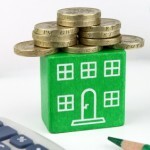 Despite limited public interest in the Green Deal, UK GBC believes as many as 169,000 homes a year could benefit from the scheme. Almost six months after its launch, the Green Deal has attracted almost 40,000 assessments, 241 applications for finance and four registered deals (although they are not yet considered live). A reduction in stamp duty and council tax would sweeten the deal, but interest in the scheme would have to increase substantially if more than four times as many works as assessments to date are to be carried out annually. Derek Lickorish MBE, who chairs the Fuel Poverty Advisory Group, described the proposal as a “good thing” for the economy and environment, but warned reducing stamp duty and council tax would have little effect on the number of homes carrying out works under the Green Deal. Lickorish explained: “The fuel poor tend to live in energy inefficient homes and they have insufficient income to heat them to a good enough level or to put in the improvements required to make them more energy efficient”. In another blow to the Green Deal, research undertaken by Leicester De Montfort University suggests that the scheme may put households at risk of overheating. Energy saving measures such as loft insulation and cavity wall insulation aim to reduce the amount of heat that escapes a property. Making houses airtight can cut both energy bills and carbon emissions, but during the summer months this could cause some properties to overheat. Professor Chris Goodier, who carried out the research alongside Professor Li Shao, claimed people would be at risk if they lived in the “wrong type of house, facing the wrong way, in the wrong street”. The professor suggested that loss of life to residential overheating is a realistic possibility as the UK continues to improve the energy efficiency of its housing stock.